I was wondering if anyone has played around with implementing Multiboot Windows XP Disks? I'll admit I didn't have time to read through the whole thread. So I apologize if I skipped passed the obvious answer. A long time ago I created a program called Windows XP PowerPacker which helped people combine XP disks into one ISO. Since then it's been updated with methods to create multiboot usb sticks and a few other tricks. How would I go about adding PowerPack ISO's (Multiboot XP ISO's) or modifying the menu files to point to my own custom boot files on my usb? So that I can use Easy2Boot in conjunction with PowerPacker? OK... I seemed to have figured out how to get PowerPack Multiboot XP ISOs to load... but having to select the F6 files is very cumbersome. Especially having to know which ahci driver to select. Is it possible to integrate all of these files into the ISO so that there is no need to press F6 on any computer? Edited by Jobrue, 10 April 2013 - 06:41 PM. The ISO is probably not contiguous. What size is your USB drive and how much free space do you have and how is it formatted? WinContig should show you that the file is not contiguous after it runs? Yes you´re right.....it´s the iso-file and grldr that are not contiguous. I use a 64 gb USB 3.0 NTSF flash drive with 30 gb free space. with 30gb of free space, WinContig should be able to defrag it easily??? Alternatively, copy all files to an empty folder on your HDD, reformat the USB drive and then copy all files back (and re-install grub4dos). @Motasem: WinContig could not solve the problem! I will reformat my flash drive and start step by step again tomorrow. strange ... ok listen after format copy iso files first and if needed creat folders for iso first and after copying each big iso file check with wincontig atep by step. can u post what wincontig error is ? i mean after anaylizing ur usb with it ? Win 8- Setup is starting but stops with error: image file doesn´t exist! 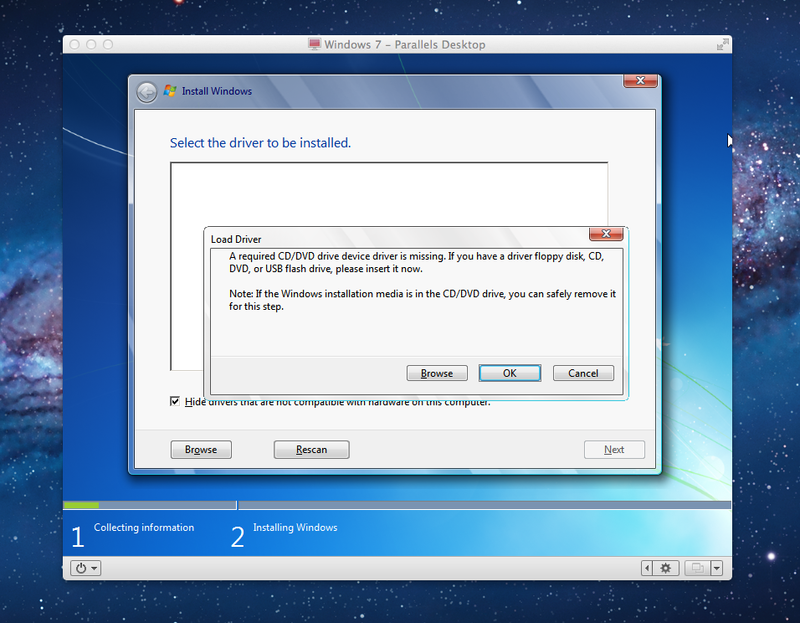 My install.wim is a captured image with Win8-Dism from vhd. Install.wim is about 12 gb ......is there a limit for install.wim? Probably your install,wim was not prepared correctly. You need special switches in Imagex/Dism to mark each image inside the wim as specific OS's and you may need two or more images inside the wim file. If you have an ISO, then try booting directly from the ISO using a VM - you will probably get the same issue. You can't just capture an image and put it in an install.wim! Setup needs the wim file to be prepared in a certain way. Compare an Imagex /info of a real Win8 DVD ISO with yours. OK thank you for pointing in the right direction! I know that it´s off topic .. Please excuse me for that! could this tutorial lead me to an installable install.wim? Edited by Jobrue, 11 April 2013 - 09:35 AM. If you have a sysprepped image, it might be easier just to boot to WinPE and script diskpart and ImageX. e.g. Tutorial 1 on my site. Imagex cannot take captures since Win 8! Dism is the tool for captureing Win 8- system-partitions! you must not take capture of a vhd-partition with winpe.....it´s possibel from running win 8! sysprepping is only needed if one planes to install on different machines with different hardware. I was able to apply Win 8 Pro in vhd using my 12 gb- install.wim with no problems. Edited by Jobrue, 13 April 2013 - 04:59 AM. I have added foreign keyboard support to Easy2Boot via a grub4dos setkey batch file. See Tutorial #72a for details. New download is BETA13. So are you saying that the link you posted works and you used Easy2Boot + ISO to re-install? No, I only wanted to test my install.wim and wanted to check wether sysprepping have to be done. Edited by Jobrue, 13 April 2013 - 01:12 PM. Hi, I tried to install Windows 7 Professional x64. The ISO booted, but after starting the setup process I get this error: http://i.stack.imgur.com/grSjK.png . I tried it on two hp laptops. Any ideas? I use easy2boot v1. I copied the ISO to the right folder, and the ISO is contiguous. Did you use a USB Flash drive? If not, then you need to read the instructions for using a USB HDD here. You should have seen a blue console Windows with a Prompt to repair the disk or install - if not then the AutoUnattend,xml did not work. It is picked up automatically from a USB Flash drive but not from a USB HDD. I used a USB Flash drive, but it is formated to have an MBR and two partitions. Al the ISO files I use are on the second partition. They all seem to work except the Windows 7 ISO. Does it matter that I have two partitions on the USB flash drive? Thanks for the fast answare. two partitions don't matter, but Windows only sees the first parition of a USB flash drive. Therefore copy the Autounattend.xml and the winhelper.usb file from the \docs folder to the first partition of the USB flash drive. You should then see the blue console window with the 'Repair ?' option and the ISO should be loaded as a ramdisk so it should all work. P.S. May not work under an emulator! I tried it (copied the two files to the root of the first partition of the USB - the partition recognized in windows), but it didn't work. I tried also putting the two files on a separate USB (this USB was in the PC the hole time before even the PC was turned on), but it was the same. No blue console window appeared, just the same error as earlier. I tested it on real hw. This was using BETA14 version and a USB Flash drive (first partition) as the 2nd drive? P.S. and standard Win 7 Install ISO? I used BETA10. The USB flash drive has two primary FAT32 partitions. The first one (recognized in windows) is just for data. On the second one I installed easy2boot. I tried putting WINHELPER.USB and autounattend.xml on the first partition of the USB drive. It didn't work. After that, I deleted this two files, and copied them to another USB drive (a regular drive, just one partition). I tried booting with both drives connected to the PC, nothing changed, the error still appeared.